This is a sponsored post for Seebo MAXX and Digital Parents Collective. Even with a subscription TV service Dave and I still find ourselves asking this question. What are we going to watch tonight? Despite all of the extra channels that paid TV gives us, there still never seems to be anything on, when we want it to be on. Which is why I was super excited to be invited to hear about a new product a couple of weeks ago, one that will revolutionise the way many people watch TV. 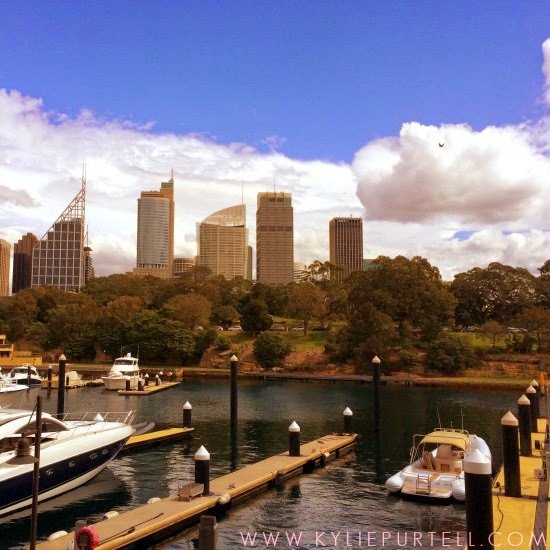 Sitting in a gorgeous apartment in Sydney's Woolloomooloo with a bunch of equally gorgeous bloggers, we chowed down on scrummy finger foods and bubbly and settled in to hear all about this new product, the Seebo Maxx. As the storm clouds rolled in from the west, we were entertained and amazed by everything that this little box of electronics can do. 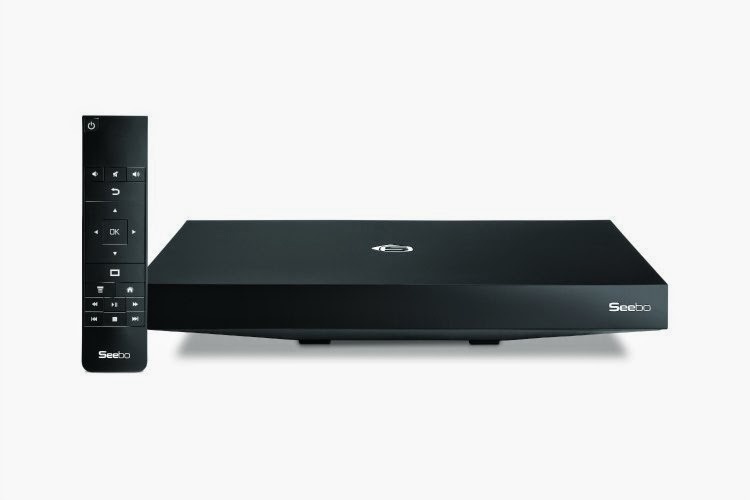 The Seebo Maxx is an all in one set-top box, media streamer and hybrid media player. What is that in English I hear you ask? Well. It's a little doovalackey that can play all your free-to-air TV stations, connect to the internet and stream TV from anywhere in the world, as well as play all of your music and other media stored in devices around your home. 1. No ongoing subscription fees or contracts. You buy the Seebo Maxx, plug it in, and have no more to pay. It's not locked to any one company or service. If it's available to stream on the internet, then you can watch it on your TV via this device. The way things are going these days, most of the content that you access via your expensive subscription television service is going to be able to be streamed directly from the content-creator via the internet, meaning you won't have lock-in contracts or massive fees to pay purely to watch one or two shows or sports. 2. The price and manufacture. The Seebo Maxx is ridiculously priced at just $599. Yes I know that seems like a lot of money. But it is considerably less than what a lot of people already pay for their subscription television if you break it down on a monthly basis. Not to mention the fact that the Seebo Maxx has been completely conceived, developed and manufactured right here in Australia. The people behind the Seebo Maxx know what it is that Australians want and need when it comes to all things TV, and they are keeping many an Aussie in a job by manufacturing their product here. Every Seebo Maxx unit sold via their online store from launch (end of October) until December 6th 2014 will see a $50 donation go direct to the charity Save our Sons and support them in their battle to find a cure for Duchenne Muscular Dystrophy (DMD). If you'd like to find out more about the Seebo Maxx you can check out their web page here, or follow them over on Facebook or Twitter. I've also included a little video at the bottom that explains better than I could about what exactly it is that the Seebo Maxx does. I am hoping to get my hands on one of these bad boys to road test at some stage in the near future and I will most definitely report back with what I think of it and how well it stands up with my at-times dodgy internet connection! If it impresses me as much in my own home as it did at the presentation, then we will most definitely be getting one for our home, just as soon as the NRL gets their arses in to gear and starts streaming all the non-Channel Nine games online! How do you like to watch TV? Do you have a pay-TV service or another TV streaming device such as Apple TV or Chrome Cast? What's one thing you wish your TV could do that it doesn't currently? Cool!! I'm with Emily though. My little secret. I was meant to be there *wails!!! * I could have hugged you and everything. Sick children are the bane of my existence! This seems like such a good idea. I am with Emily too! NO WAY am I telling Paul about this! Hmm that does sound good though very expensive. We have Apple TV right now and it drives me nuts! I just wish we could have more than 15gb of downloads out here. really feel disadvantaged when I hear about people streaming tv and movies - I'm just jealous. Yep, same as Annaleis, we are semi-rural so I can't even use our internet service for Skype! LOL. Sounds great though - I want one! I have read some great things about Seebo. I finally upgraded from an analog TV to a digital one and I love, love, love that I don't have to switch leads over to watch a DVD now! Never heard about Seebo!! We don't actually have a TV in our Motorhome - we have a DVD Player which our boys love watching hired DVD's on!